These rather wonderful picture disc flexi-discs are, in fact, X-Ray records. They were produced by the most famous of the Leningrad bootleggers, The Golden Dog Gang in the 1950s. Unusually, they are recorded at 33rpm. This gives more recording time (albeit at a lower sound quality) with two or more tracks on each disc. The technique used to make them was ingenious. The x-rays of the time had two layers, the photographic layer and a transparent protective over-layer. The Golden Dog, in their search for a more 'Western' looking high-end product, discovered a way to separate the two layers. 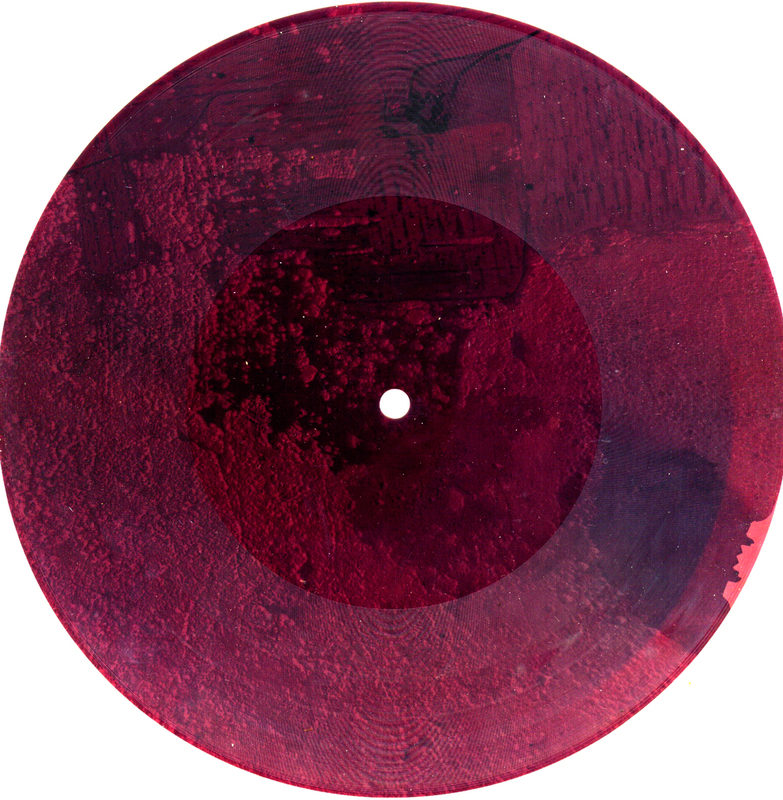 The transparent layer was then stuck down onto a card image (containing a collage designed by the gang) and the music to be copied was inscribed with a lathe onto the composite base. The picture discs gave a semi-official Western feel to the discs which would have seemed much cooler and more sophisticated than the standard x-ray disc of the time. 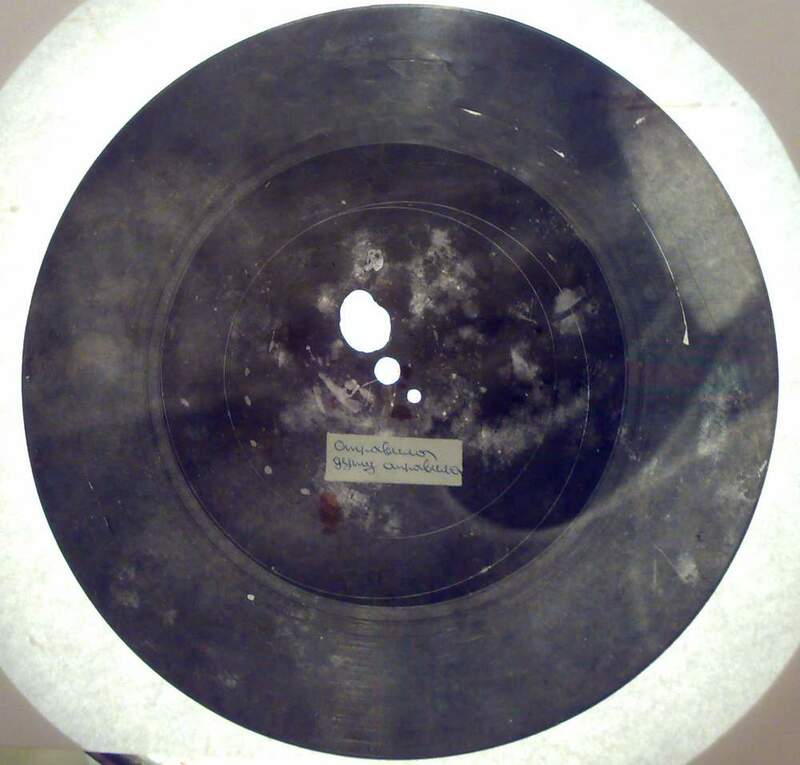 Bugaslovsky, the main audio engineer of the gang, was known for the quality of his cutting, so despite the inherent lower quality of 33rpm, these discs would have been desirable objects for a small bunch of music fans with record payers that could play at this speed. We photographed the examples shown here in the apartment of the very sweet Nina Taigin in St Petersburg. Nina, tiny and now very old, was married to Boris Taigin, a samizdat poet and one of the main members of the Golden Dog gang until his death ten years ago. She very kindly showed us Boris's archive, and gave us pasties and brandy before we headed back to London.